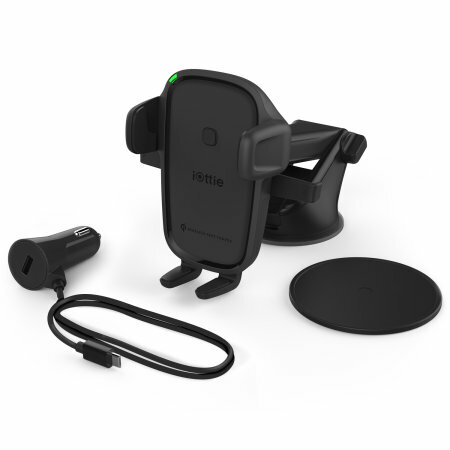 Wirelessly fast charge your Qi-enabled Android smartphone in the car with this iOttie wireless charging car holder. Securely position your phone in either portrait or landscape all while enjoying convenient, speedy and efficient Qi wireless fast charging. Purchased to take advantage of mapping Apps on my Samsung Galaxy S9+, this fully adjustable iOttie mount securely holds and charges my phone in its Morphie battery case. Choice of one-use sticky mounting pad guarantees a flat surface to adhere the mount sucker, and when applied to the windscreen and locked off is solid with, given weight of my device, very little to no bounce. Finding the phone(case) charging sweetspot takes a little trial and error, but once the lower bracket has been locked off at the correct position, charging so far guaranteed every time. 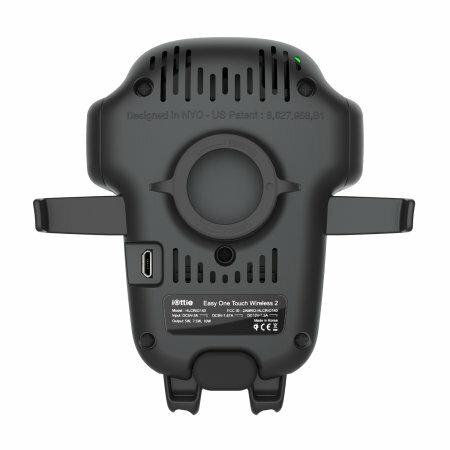 12V lighter plug has through-USB 2.0 for other devices, with the cable micro-USB tidily plugging into the charger. Whilst using GoogleMaps and TomTom with Mobile Data and GPS Location enabled (my experience) charger output is very slightly more than device power usage; however,if you run with lots of Apps open it may struggle to keep up, but will still extend battery life and closing Apps will recharge your device. Very easy to install and use. 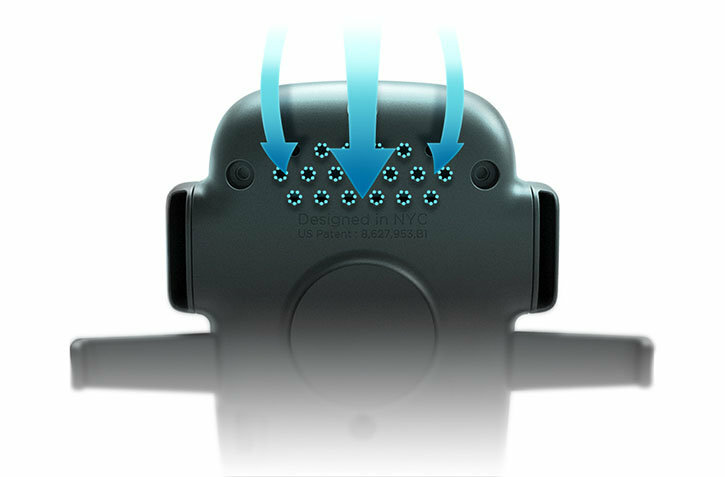 One handed insertion and removal of your phone in and out of the cradle. Say goodbye to having to mess with cables every time you get in and out of your car. The wireless charging works seamlessly. 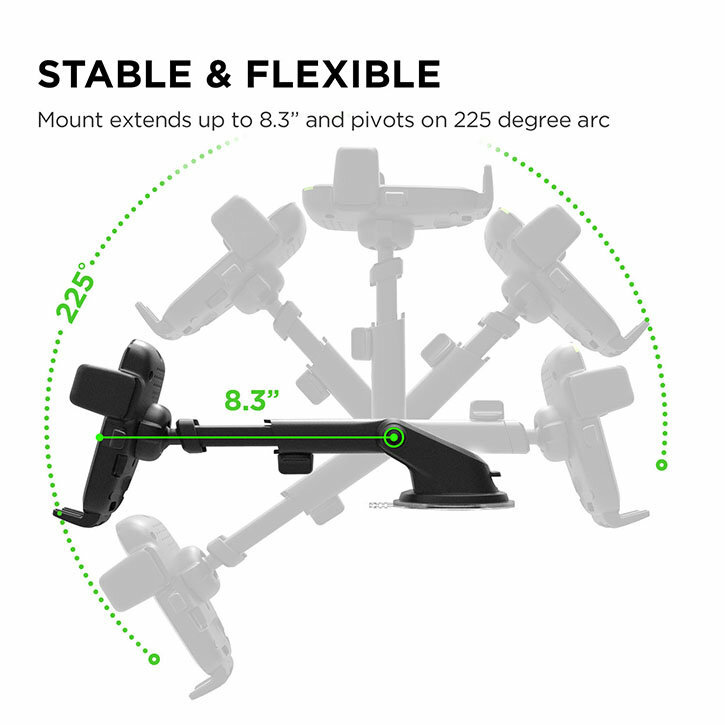 The mount is good and solid, with no shaking or vibration when driving. And finally, the customer service I have always received from Mobile Zap is second to none. Quick, responses and great outcomes. 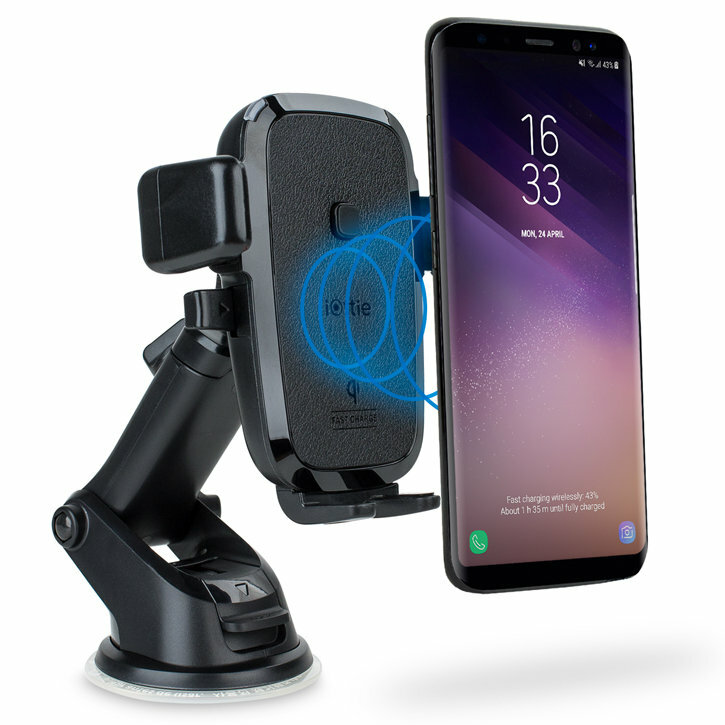 Designed for quick and intuitive wireless charging, the iOttie Qi Wireless Charging Car Holder and Charger allows you to charge your Android Qi-enabled smartphone without the mess of charging cables. 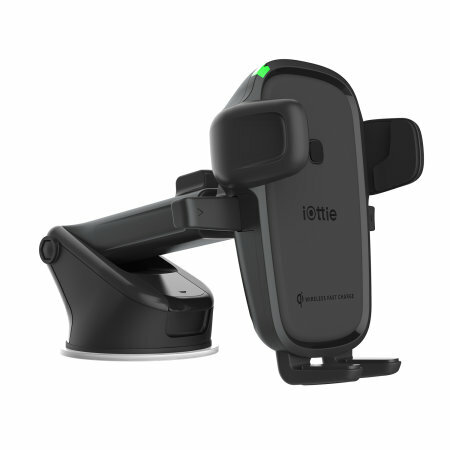 The iOttie car holder uses Qi induction technology to charge your phone quickly and easily once it is placed into the holder. 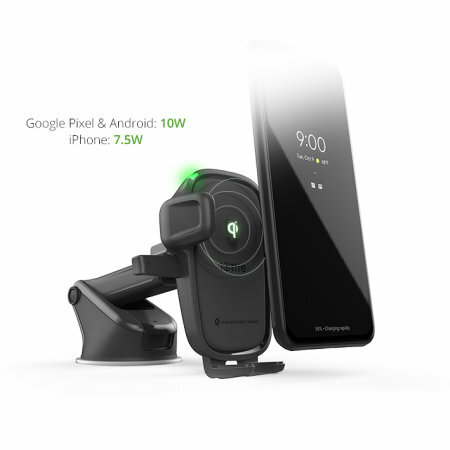 Simply place your Qi-enabled Android smartphone within the holder and watch as it begins charging without having to connect any wires to the phone. 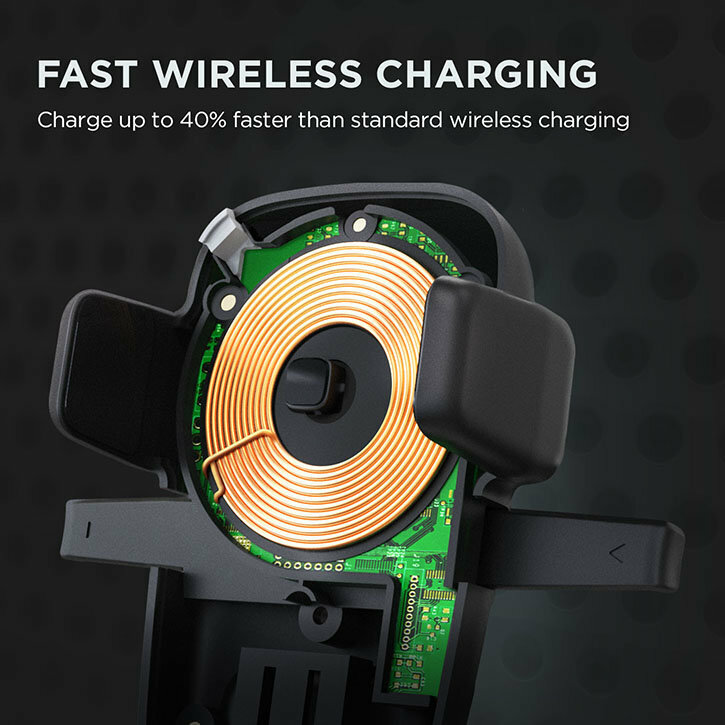 With integrated wireless fast charging, you can rapidly charge your compatible device up to 40% faster than with a standard wireless charger, so you'll have your device full of juice and ready to go in no time. 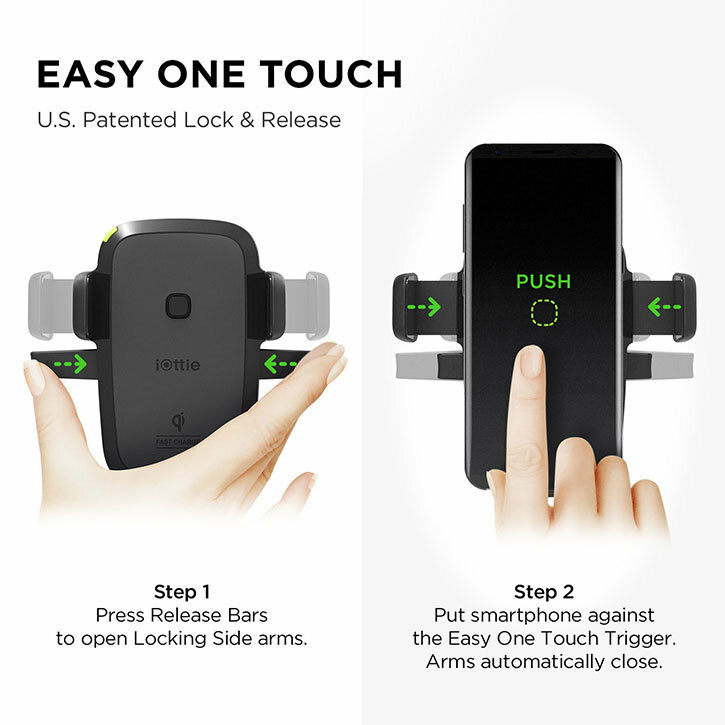 iOttie's signature Easy One Touch system allows you to lock your device into this holder with just one finger. 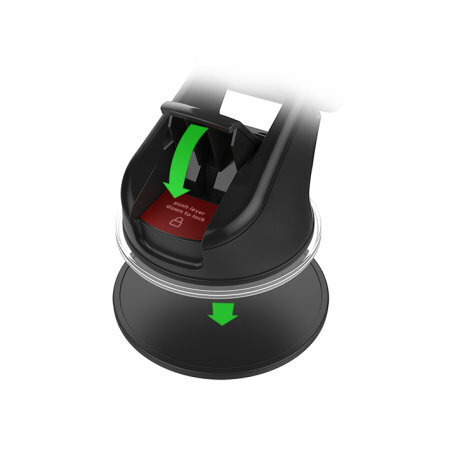 Simply push your device into the holder and the automatic lock and release system will do the rest. Enjoy true peace of mind with iOttie. Whether your dash is rough or smooth, the iOttie is perfect for you. 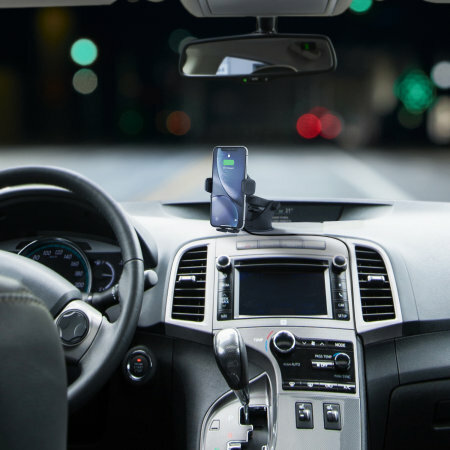 The included dashboard pad's grippy adhesive and considerate design means that your vehicle's dashboard won't be a problem for the iOttie - even if the surface is unconventionally rough or textured. Not only that, but the iOttie Easy One Touch sports an innovative 2-step locking mechanism which grants you full control over the extent to which the pad grips your dashboard. This is perfect for all kinds of surfaces and textures. 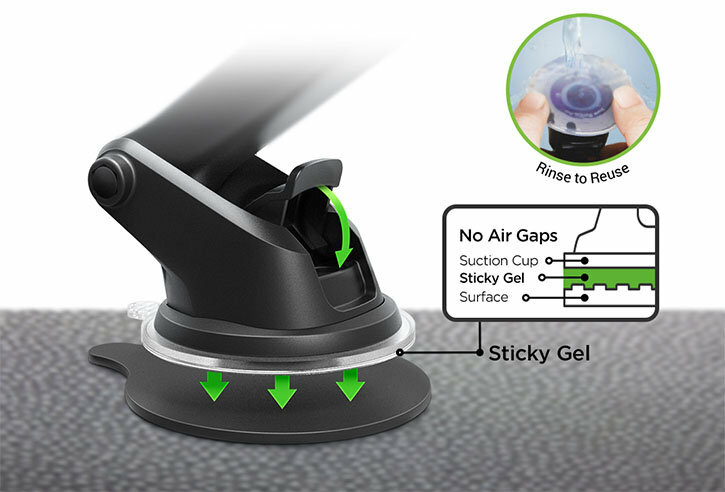 Should the suction pad get dirty, simply rinse with water to get it looking as good as new again. 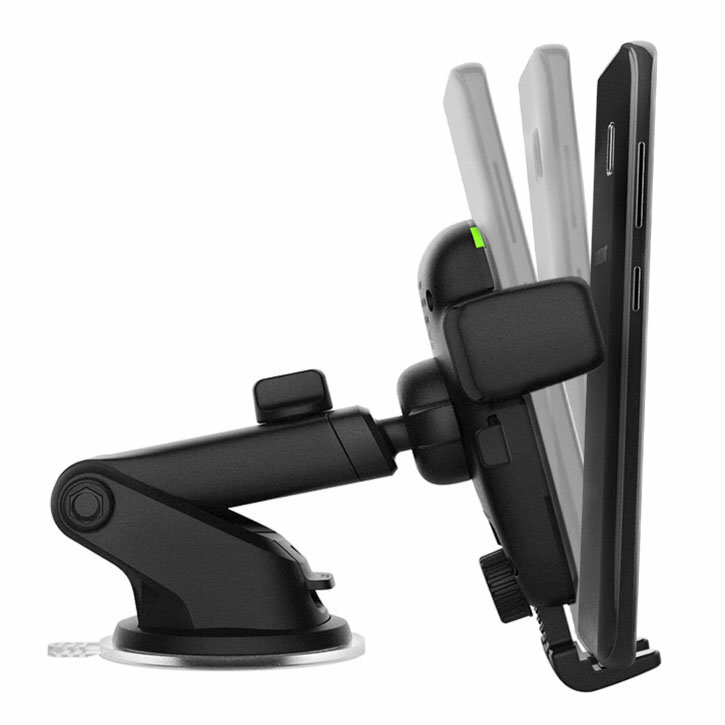 The most important thing about a car holder is being able to easily and safely access your device. 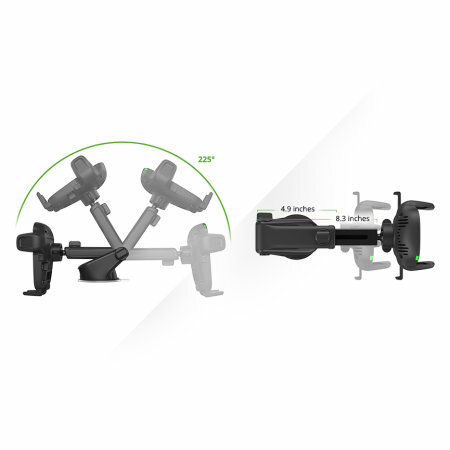 That's why the iOttie Easy One Touch mount comes with a convenient telescopic arm, which allows you to position the mount exactly how you want it. 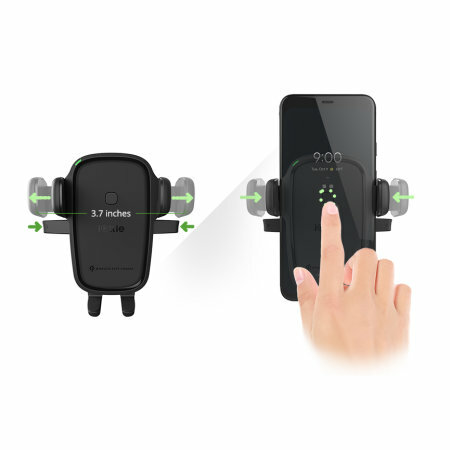 The adjustable design of the iOttie Easy One Touch car holder allows you to position your handset on your car's windscreen in either vertical or horizontal positions for a more comfortable view of your handset while driving. 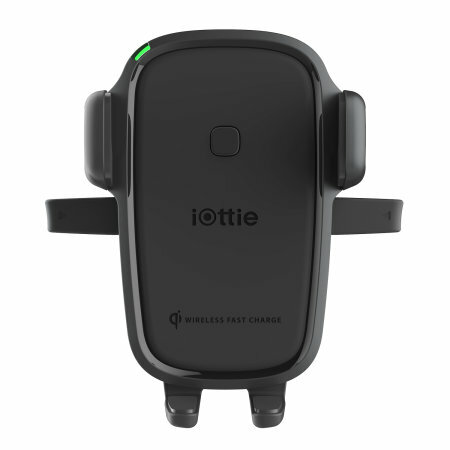 The iOttie OneTouch provides excellent air circulation with the integrated air vents on the back of the mount to prevent your smartphone from overheating while wireless charging. 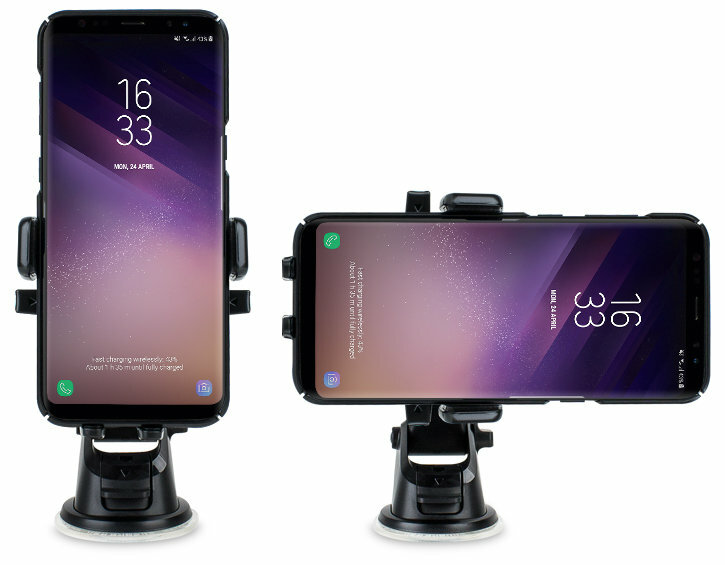 Designed to perfectly complement your Android handset, this car holder reflects the contemporary and sleek styling of all recent Android smartphones, ensuring that your charger is not only efficient but visually appealing, too. PLEASE NOTE: Not all handsets support wireless fast charging 'out of the box'. 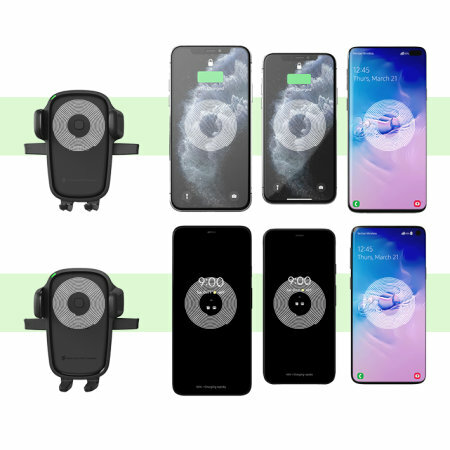 Certain smartphones will require an adapter to be able to perform wireless charging at all, please check your phone supports Qi wireless charging and wireless fast charging before purchasing.